It’s safe to say that the first thing I noticed when stepping off the plane was the heat. I was expecting it and was prepared, but coming from a cold and wet February in the UK, the wave of dry heat that hit me was intense - I’d certainly arrived in Africa. 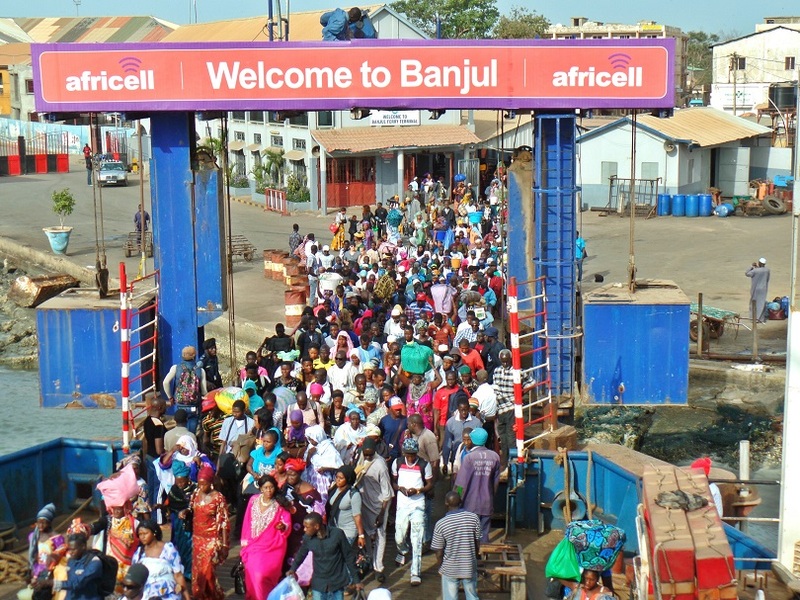 Banjul Airport, a small and unassuming building was ahead, and in that moment I felt a flood of excitement - my African adventure was about to begin! Initially, one of the things that really stood out for me in The Gambia was the dry and dusty landscape. Having had no rain since around September time, the overall scenery was dominated by hues of brown. However, this then highlighted the little pockets of paradise behind the gates of the hotel grounds, where you’d get glimpses of flourishing coconut palms and well-kept grass amid beautifully colourful flora. When we arrived at Kombo Beach Hotel, our base for the next four and a half days, immediately it was time to explore the stretch of beach that I’d been looking at photos of for the past few months. 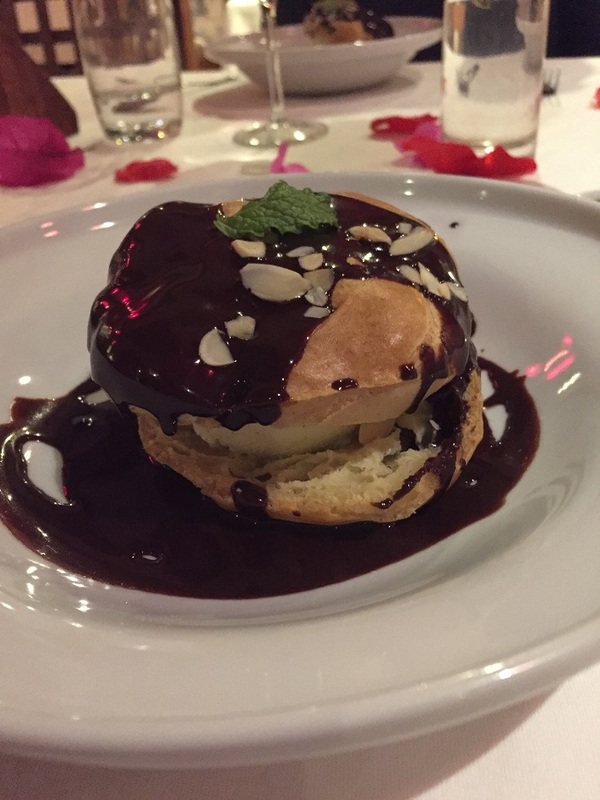 And it certainly didn’t disappoint. A wide golden beach lined with palm trees stretched as far as the eye could see, and local fruit ladies (such as Haddy who we spoke to on more than one occasion) wander the beach and come to tell you about their stalls. 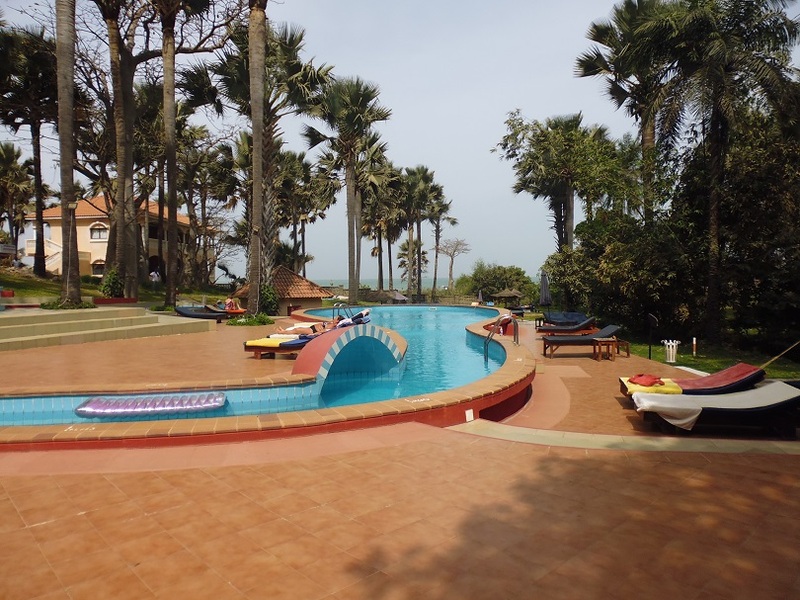 Kombo Beach Hotel itself was a vibrant and lively hotel, with a great atmosphere in the evening. 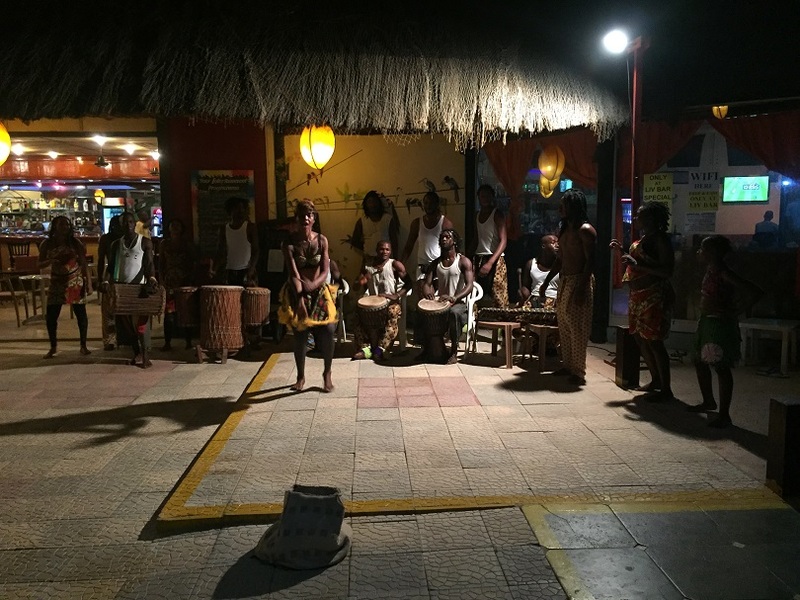 Here we watched African drummers and dancers entertain the guests, of course with a Piña colada or JulBrew beer in hand. We started each day with a different breakfast, I think Kombo managed to cover just about any kind of food you fancied, and I particularly enjoyed the waffles with pancake syrup one morning! Ngala Lodge featured for its intricate gardens, impressive suites, wonderful views, quirky features and second-to-none cuisine. 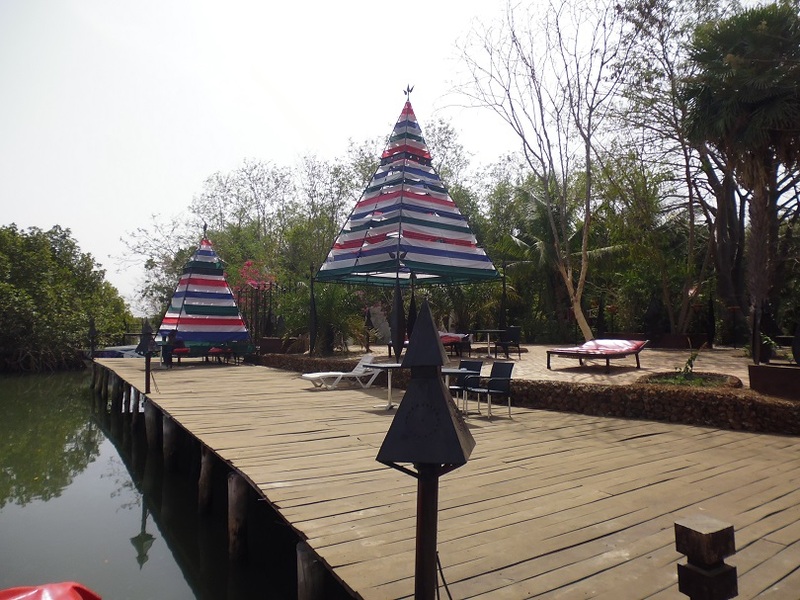 Mandina Lodges mostly for its breath-taking location on the River Gambia, but also its unbelievably tranquil atmosphere and unique guestrooms. We also watched a fairly large monitor lizard skulk across the swampland whilst enjoying a glass of Sprite. Ocean Bay was another where I immediately felt like I could spend a holiday. A real African feel greets you in the hotel reception, and together with a large pool, lovely gardens and being right on a large stretch of golden beach, I was ready to hang around there for the rest of the day and soak up the sunshine. And finally, Lemon Creek’s rich red and cream buildings boasted lovely views across the gardens and coastline, and the shape of the swimming pool was intriguing and like none I’ve seen before. To add to my African adventure, one of our days consisted of a trip over the border to neighbouring Senegal, which also meant a 30 minute crossing on the Barra ferry. 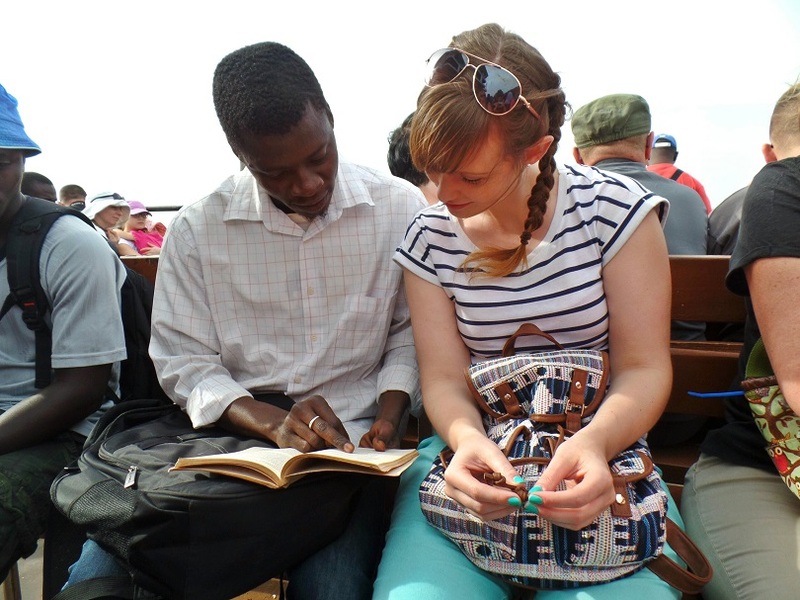 The ferry was certainly an experience in itself, but one I would do again. 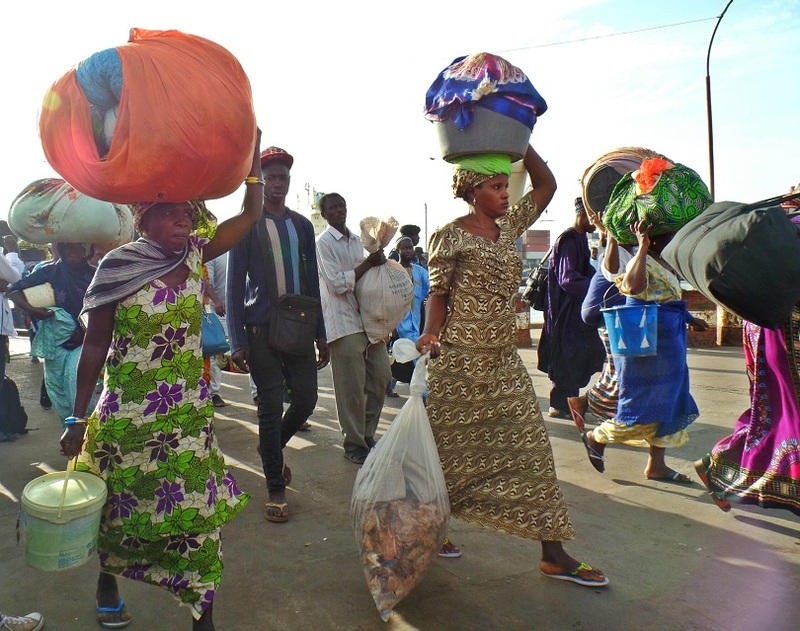 Seeing two Gambians hauling a full size bathtub, and women carrying what looked like washing baskets on their heads with their children strapped to their backs was a real sight to behold, let alone the full truck of bleating goats which we encountered on the return trip! I also met Salifu, a very friendly Gambian who told me all about how he volunteers at his local school in order to try and give the children there a better start in life. Locals boarding the Barra ferry (which was already nearly full)! 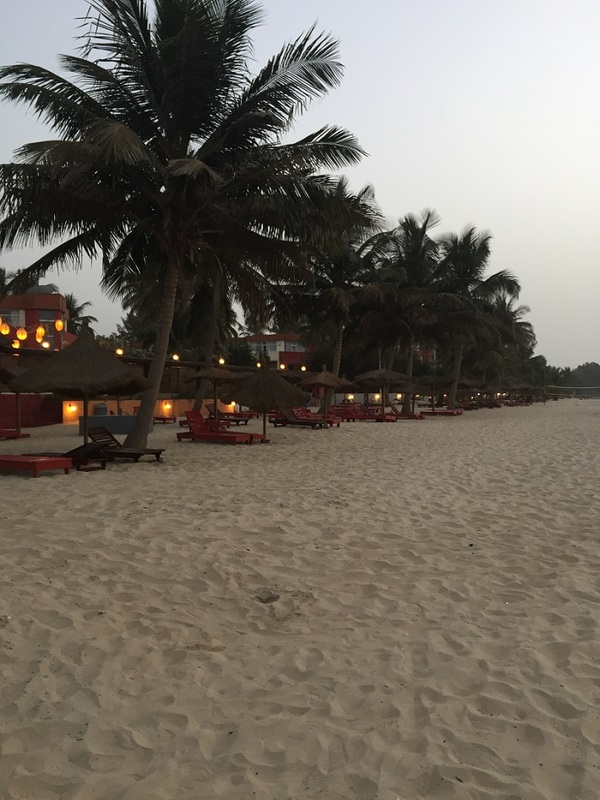 When we made it to Senegal and were making our way to the first hotels, there was an obvious change in scenery. Where we’d come from roads lined with a handful of restaurants, some hotels and the occasional little fruit stall, we were now met with small African villages and that was about it. 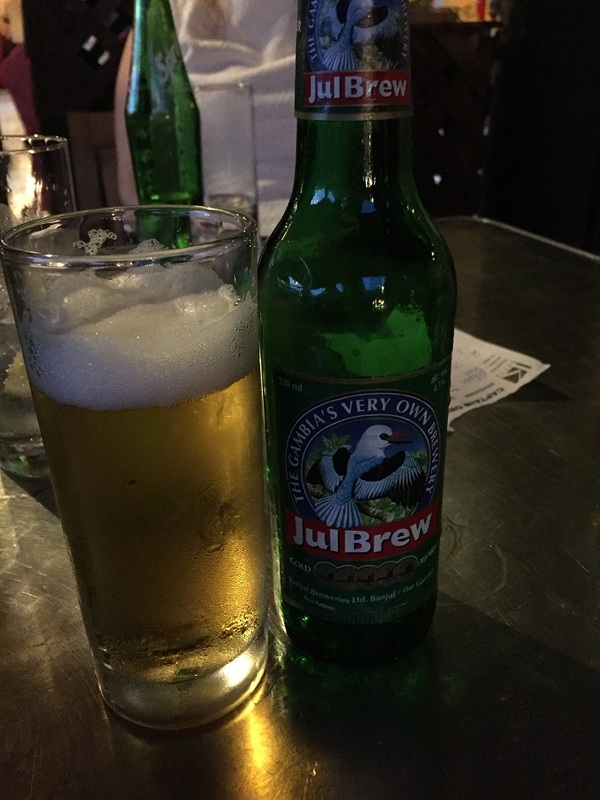 It felt like we’d arrived in an even more ‘real’ Africa to what we’d just left behind –and yet such a short journey from our hotel in Gambia. 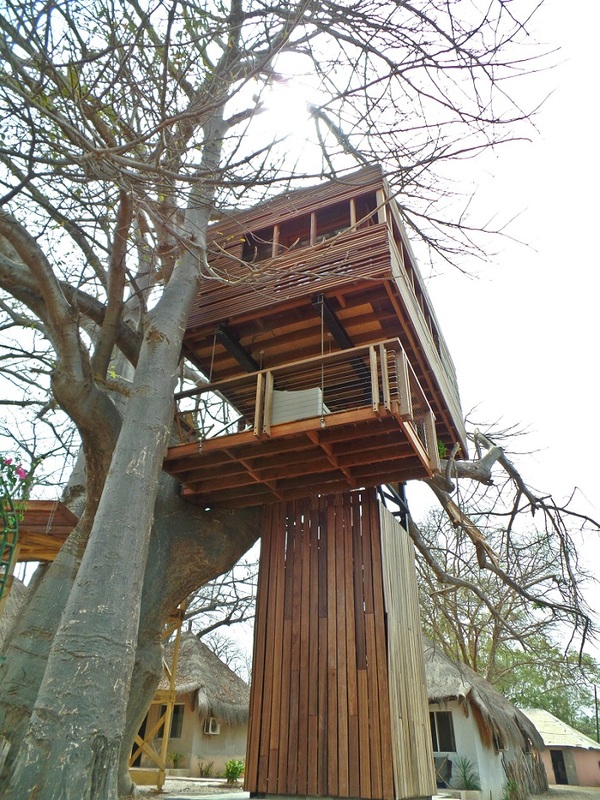 Domaine Les Paletuviers was our first hotel stop, which has a beautiful treehouse guestroom with stunning views over the creek, and Keur Saloum located next door, feels like being immersed in a traditional African village. 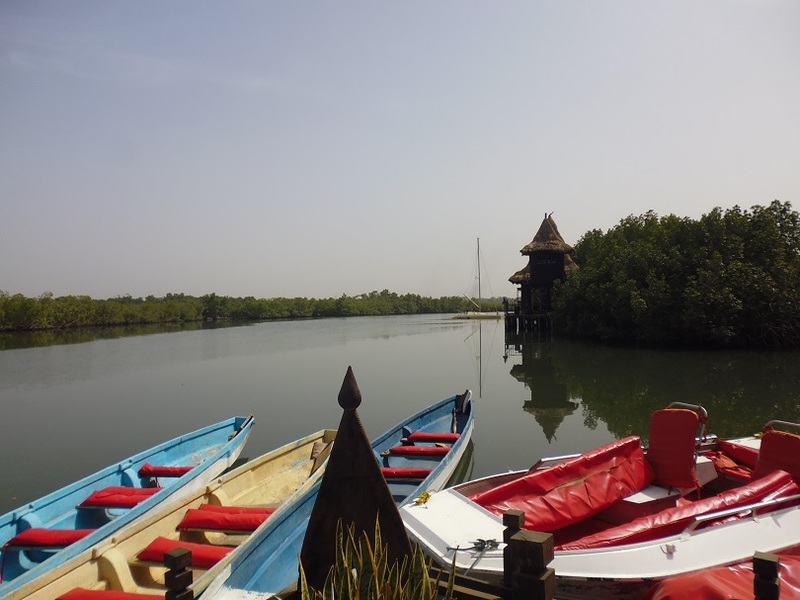 With both offering plenty of opportunities for boat trips out into the Sine Saloum Delta, famous for its birdlife, it’s certainly on the list for my next visit. 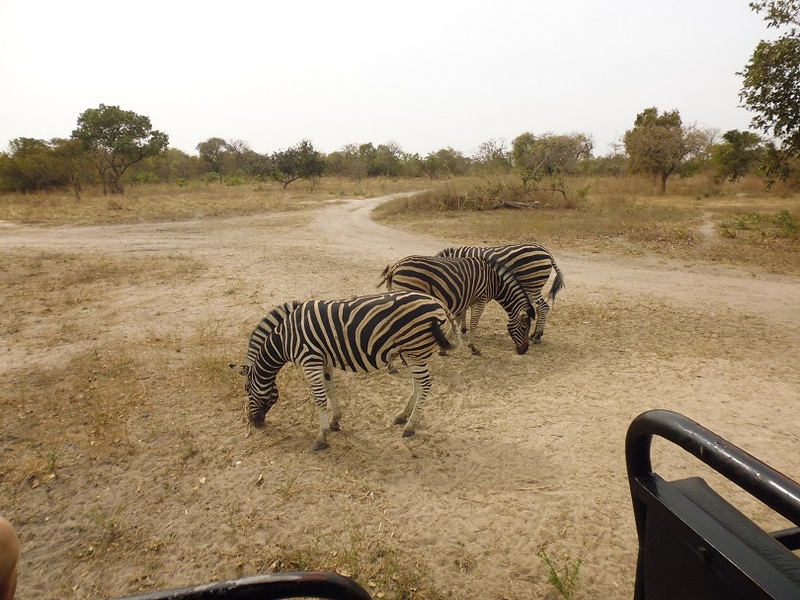 But my personal overall highlight was when we got to Fathala Wildlife Reserve. 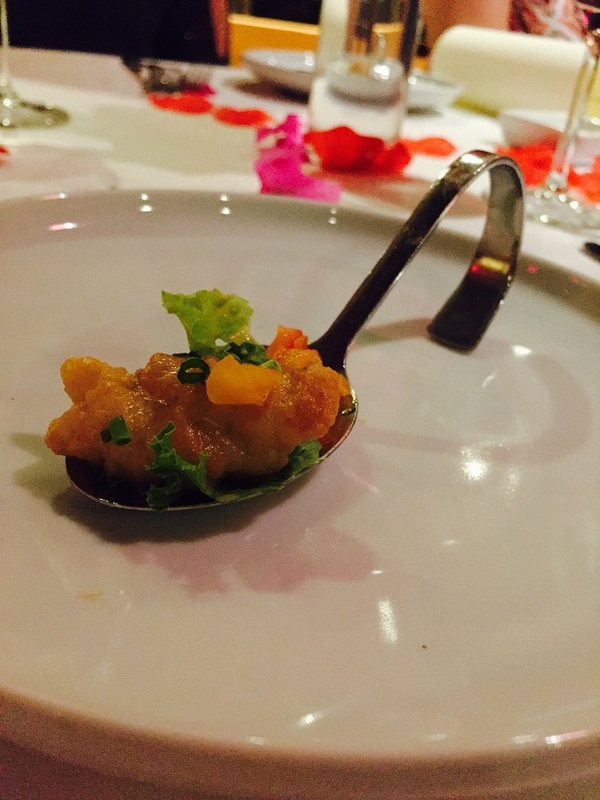 We started the tour with a fabulous 3-course lunch, overlooking the pool area and the man-made watering hole, where little monkeys were dodging in and around the tree line, exploring the ant hills. We then had a nose around the luxurious safari tents, with their open air showers, air-conditioning and large four poster beds. 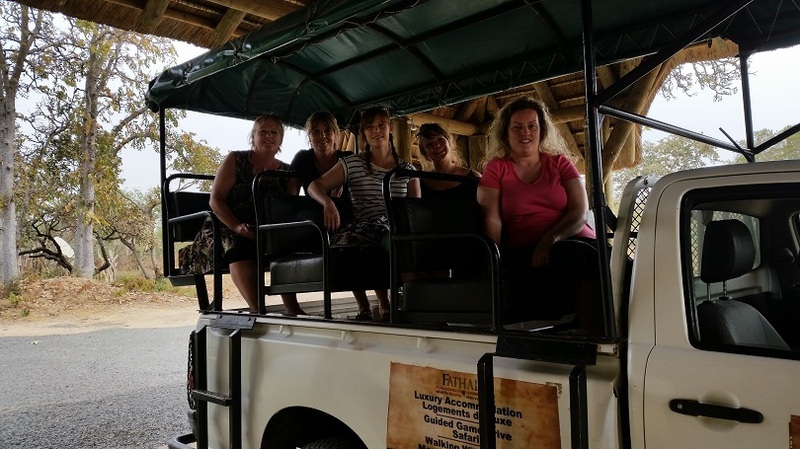 The afternoon was reserved for a mini game drive, so we all hopped onto the safari truck and our knowledgeable guide took us through the reserve where we saw zebra, antelope, monkeys and even a white Rhino (unfortunately named Killer as he accidentally killed his female mate). Seeing the animals in their natural habitat was an amazing experience, and we even managed to get a few good photos. Waiting to start the safari game drive from Fathala Wildlife Reserve. 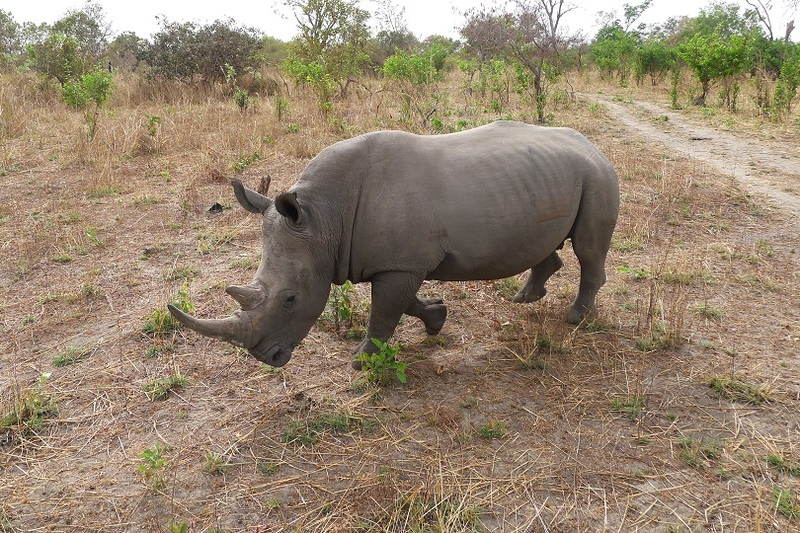 Then a rather impressive White Rhino. 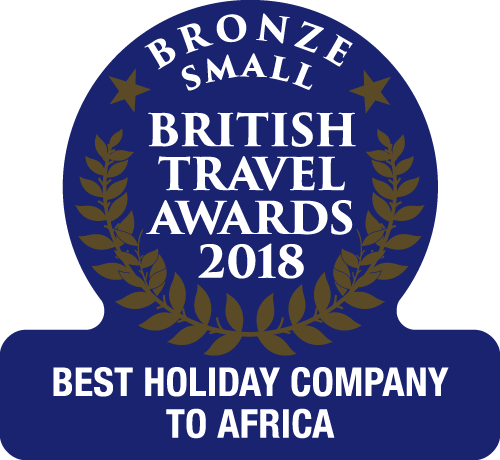 Feeling inspired to book your own holiday to Gambia or Senegal? 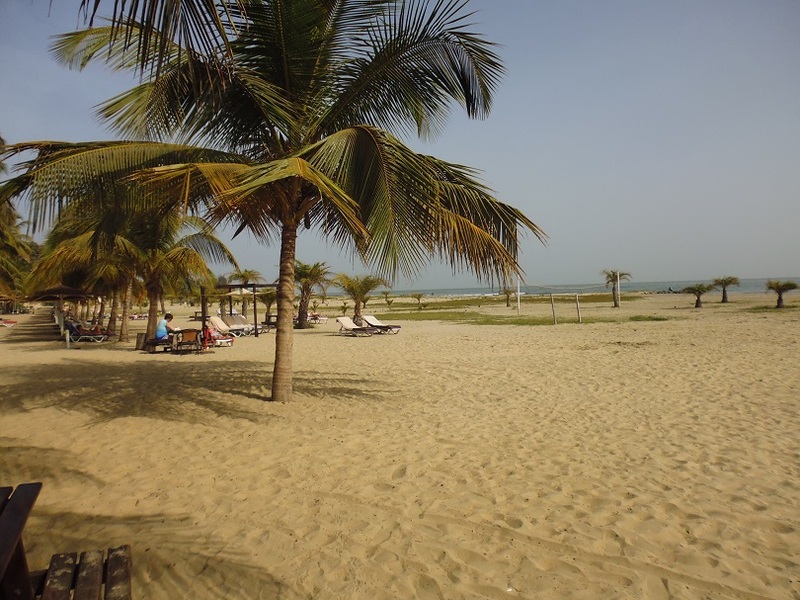 Visit The Gambia Experience website for more information.